What's the best way to grow my company's online presence? So you've been meaning to make updates to your website — whether it be a complete overhaul or minor product information tweaks — but it keeps falling to the bottom of your to-do list. For whatever reason, you've built it up in your head that changing your online presence is a massive undertaking that your team just don't have time for... because that's what your experience has been. 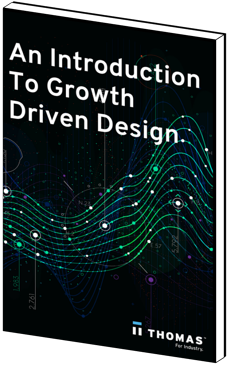 It's time to toss aside traditional website design, with its large upfront cost and commitment, and get to know growth-driven design. This tactic lowers risks, allows for flexibility and sets your company up for growth.